Will a diet soda or zero-calorie drink prevent fat loss when cutting? I’ll tell you in a second. 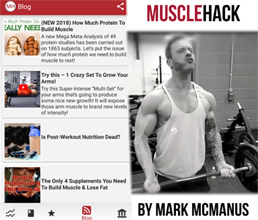 I stay quite lean all year – I train THT-style (download workout below) with a slight calorie surplus – then I cut in spring time – and that only takes me 3 or 4 weeks since I don’t have a lot of fat to lose. So I can feel safe that there’ll be no adverse effects on my health in such a short period of time. The rest of the year – 48weeks – I use stevia. The addition of Coke Zero, Pepsi Max, Lilt Zero etc. makes the lower-cal diet easier to get through. I sometimes use sugar-free Jell-O too. 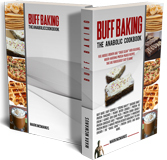 I also love munching on Buff Bars (homemade protein bars) Protein ice cream, peanut butter cookies and more from my Buff Baking Cookbook. I call it “Cheating Clean” – just something to make the process easier. Diet drinks are a part of cheating clean when I’m dieting. So I take about 2 x cans a day when cutting. And I get pretty shredded. They have no impact on my fat loss at all. The fact is that they contain no calories, no energy, no sugar. They can’t possibly contribute to weight gain. But, some people are of the opinion that they could trigger an insulinogenic response because of the sweet taste i.e. the body reacts like it’s sugar and releases insulin causing you to store more of your calories from food. This then causes you to crave extra food later to replace the calories that were stored and not available for energy. But where’s the evidence for that? You should be aware of studies that simply contradict this. Short term  and long term  studies (1 year long) both show not just equal weight loss, but MORE WEIGHT LOSS in the group that drank artificially sweetened beverages as opposed to water. NOTE: Before I go on, if you ARE about to go on a fat-loss diet, I made a list of the top 20 foods to eat to get ripped. 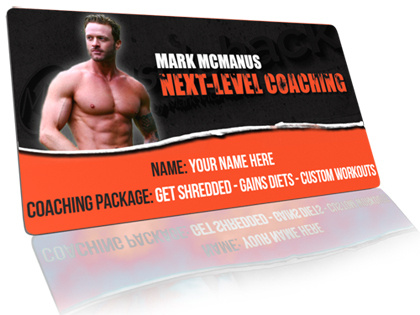 You’ll find it extremely helpful in your quest to get shredded. If you would like access to the full list for free, just type in your email below. 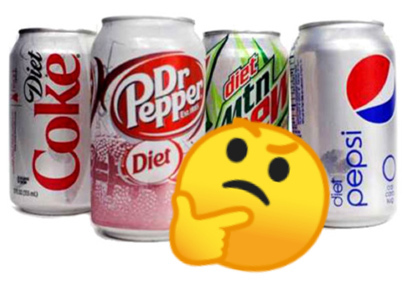 BUT ARE DIET SODAS SAFE? As stated above, because I am consuming these products for 3 or 4 weeks out of the year, I have no concerns whatsoever. A few years ago, I didn’t take them, not even when cutting. 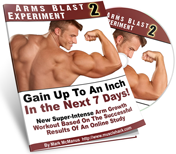 But I changed my mind due to the brief nature of my shredding cycles (By the way, if you want me to put together a shredding diet for you so that you can achieve the same sort of results as me, go here to see what I can do for you). But long term, are they safe? No-one knows for certain. Certainly in the short-term, there are no health risks. In order to know for sure, a study would need to be conducted that lasted decades. Would there be carcinogenic effects? Brain tumors? I doubt it. Some people will swear they know for sure – they don’t know. Even if such a crazy multiple-decade study were conducted, how could we know for sure that those subjects who got cancer, got it because of the artificial sweeteners? My advice is that if you find it helps, consume them when cutting and not during the rest of the year. If they don’t make a cutting phase easier for you, don’t take them – simple. How about you? Do you drink diet soda? All year? When cutting? Never? Let me know below or on my facebook, instagram or twitter. There is compelling evidence that using Aspartane or Sucralose can cause chronic diseases of the brain. They are considered to be socalled exotoxins. I am not able to spell it out here as one tends to forget some of the details but I once saw a documentary that followed people in the US who had been taking in rather large doses of the stuff for a few years. Like 1.5 litres of coke light everyday or lots of coffee with sweetener while on the road. You have rarely seen a more sorry bunch of people. They suffered from Lupus, Multiple Sclerosis and what have you. If taking this stuff in large quantities is a poison then why would you take it in small doses? I stay away from the stuff. I have become wary of anything man made based on what I have seen around me. Modern technology owes ecology an apology. I never go into discussion with people who just don’t want to know about this. If you want to keep on consuming these go right ahead. Those who do care, just do some of your own research. It’s worth the effort.